Northants have snapped up South Africa Test batsman Temba Bavuma for a three-month stint in the 2019 season. 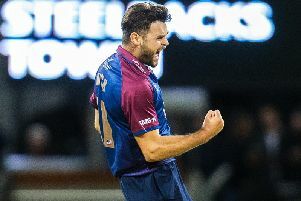 The 28-year-old will join the club between May and July, 2019, and will be available to enhance the County’s batting line-up for eight Specsaver County Championship Division Two matches. Bavuma came to prominence in January, 2016, when he became the first black African cricketer to score a Test century for South Africa - hitting an unbeaten 102 against England at Newlands in Cape Town, his native city. Bavuma has made 31 Test appearances for the Proteas so far, scoring 1,488 runs at an average of 33.81. He made 63 in his most recent Test innings, against Sri Lanka in July, and in March he was left stranded just shy of a second career century as he was left on 95 not out as South Africa were bowled out for 488 against Australia at Johannesburg. He has also represented his country in one day internationals, scoring a century in one of his two appearances. In first-class cricket, Bavuma has made just shy of 7,000 runs at an average of 38, and scored a dozen centuries. 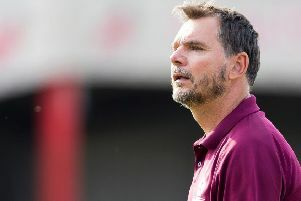 He is currently the captain of the Highveld Lions franchise. “Signing a player of Temba’s international stature underlines our ambitions as a club,” said County chief executive Ray Payne. “We are keen to return to the Championship’s top division, and hopefully his runs will help us achieve that.